I didn’t expect to be exhausted before meeting my Au Pair. It’s ironic the amount of work that goes into preparing to host someone who’s supposed to help ease your workload. Like most women, I wanted my home to make a good first impression on my Au Pair. That meant a very long, stress-filled day of cleaning, tidying, and organizing as we awaited her 6:00 PM arrival at the airport. Unfortunately, the day of our Au Pair’s arrival was also the morning a psycho decided to set ablaze Chicago O’Hare Airport’s air traffic control center. This event screwed up flights all over the country and caused our Au Pair’s flight to be canceled. Luckily, she was able to be re-book, but her new flight wouldn’t arrive until 10:45 PM. The change was going to extend my day past my early, mother-of-two-very-young-children bedtime, making the day even more stressful. (My husband said I was driving him nuts all day with my “psychotic cleaning” and “high-stress attitude”). We had originally planned on meeting our Au Pair at the airport as a family, and as luck would have it, the reschedule called for one of us to go to the airport while the other (me) was going to have to stay home with the sleeping kids. 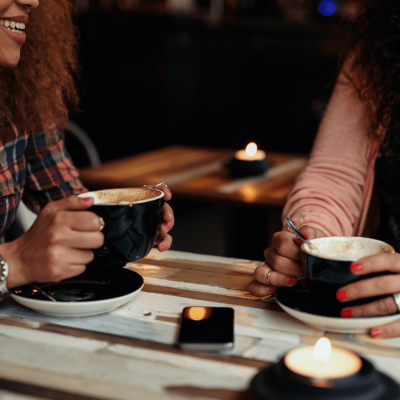 I was SO irritated that I was going to miss out on meeting my Au Pair upon arrival and partaking in the very first conversations! When they drove into the garage around midnight, I was at the door ready to pounce. Bounding out of the van, our Au Pair ran to me with arms open. I bet you’re wondering if it was it weird or awkward. Yes? (Maybe we were all just too tired for it to be weird. 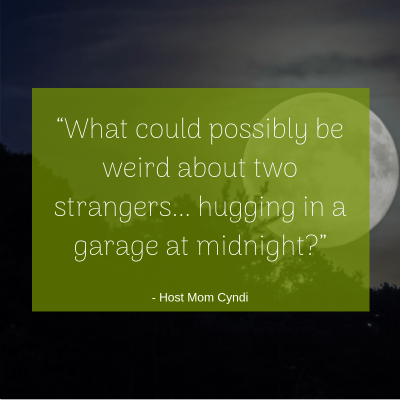 Besides, what could possibly be weird about two strangers from different countries hugging in a garage at midnight?). With her arrival being so late in the day, we didn’t really have much time to talk before we all passed out. 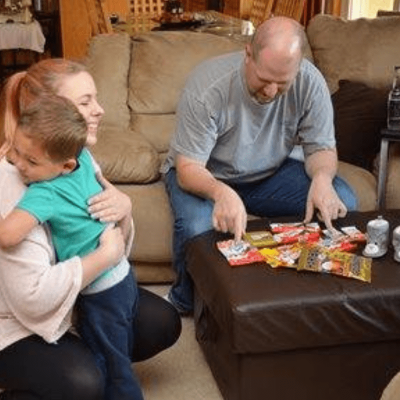 The next morning, however, when she emerged from her room, my three-year-old saw her and exclaimed, “Kati!” All of that time and effort spent on preparing him for her arrival had paid off (a little too well), and he knew exactly who she was. From the moment they met, he has made her his new best friend (unfortunately for her because she can’t get away from him without his asking where she is even when she’s sitting behind him in the car). We had planned on taking her for a day of fun for her first official day here. But, the disgruntled airport pyromaniac screwed that up. We had to scrap our day of fun because we were just too tired. I had envisioned a sort of “Au Pair icebreaker,” like at corporate retreats. You know, when they make everyone join in some quirky ice-breaking-get-to-know-you exercise. Oh, well. A day spent at home, a walk to the park, and chatting on the back deck while my eldest played in his water table and the baby slept was great too. No pressure, just talk, making good memories, and finding out fun facts. Like how, apparently, Cheetos are a very rare, very expensive, very coveted food treat in Germany. 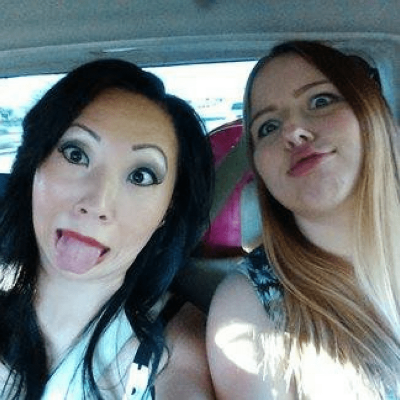 Keeping in constant communication was very helpful when it came to meeting my Au Pair. Our constant contact with her in the months leading up to her arrival proved to be very beneficial. She was part of the family right away. Meeting my Au Pair was exactly how I hoped it would be… It felt like welcoming a long-time family friend into our home, not a stranger from a foreign land. Treating your Au Pair like one of the family is truly important to keeping the relationship healthy and meaningful for both parties. After all, families don’t have to look visually congruent to be families. (I should know because I was adopted from Korea into a Caucasian family!) And our German Au Pair is definitely a welcome addition to our colorful family.